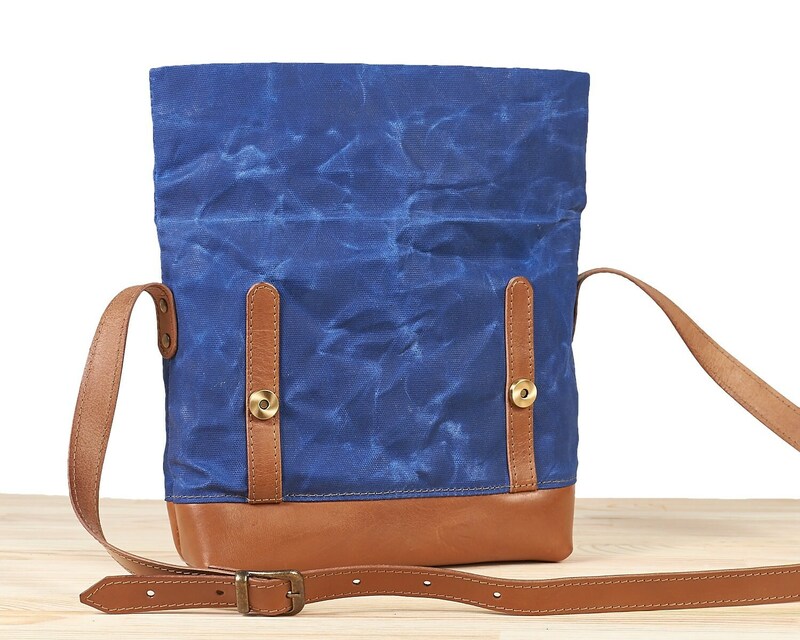 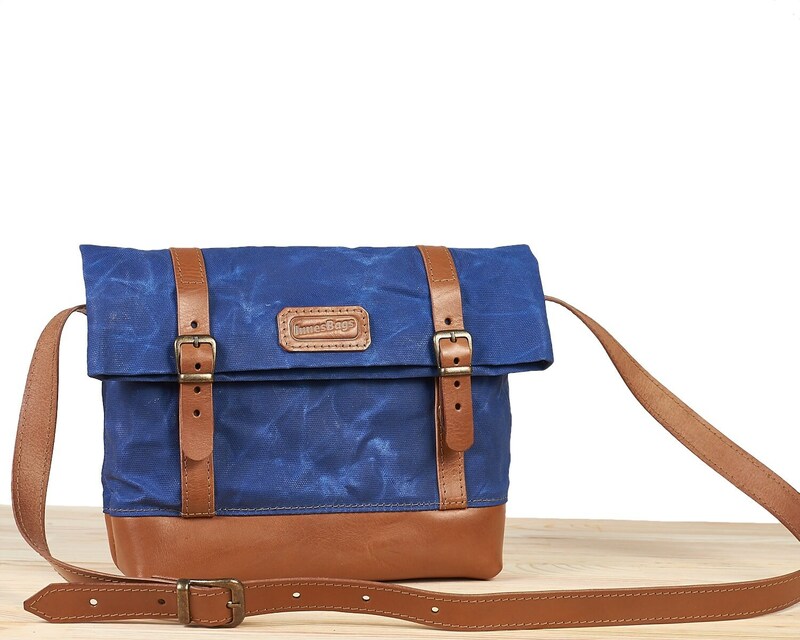 Blue waxed canvas crossbody bag with a long adjustable strap. 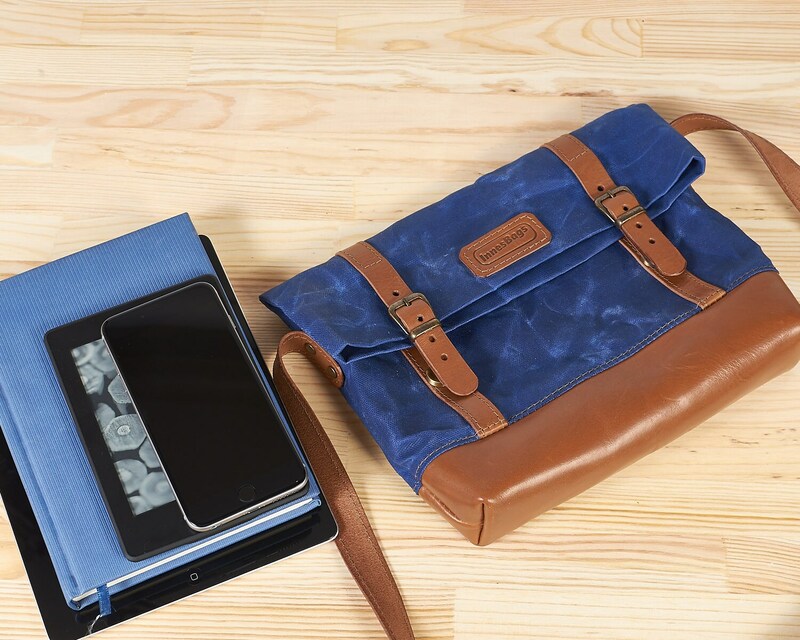 This bag has a medium size, easily fits iPad, wallet, dairy and etc. 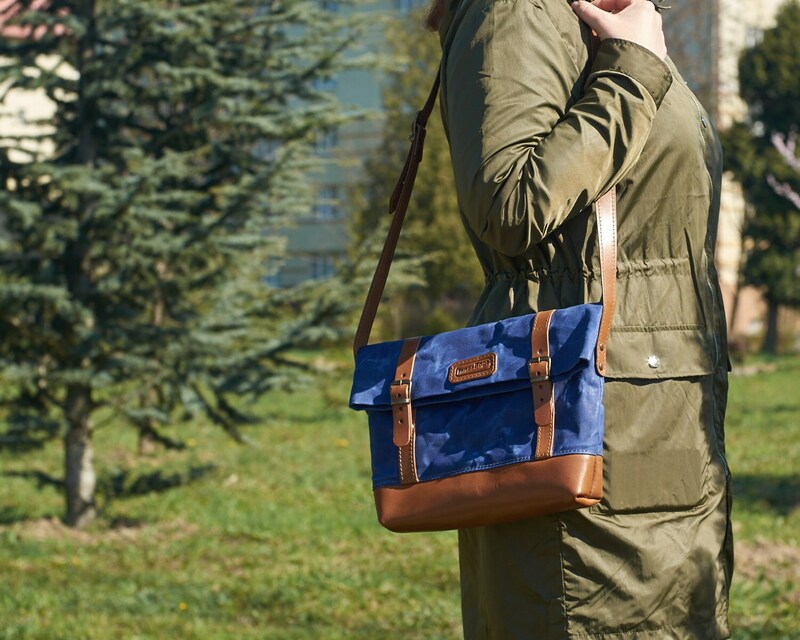 The canvas bag is made for daily using, it is a lightweight and comfortable. 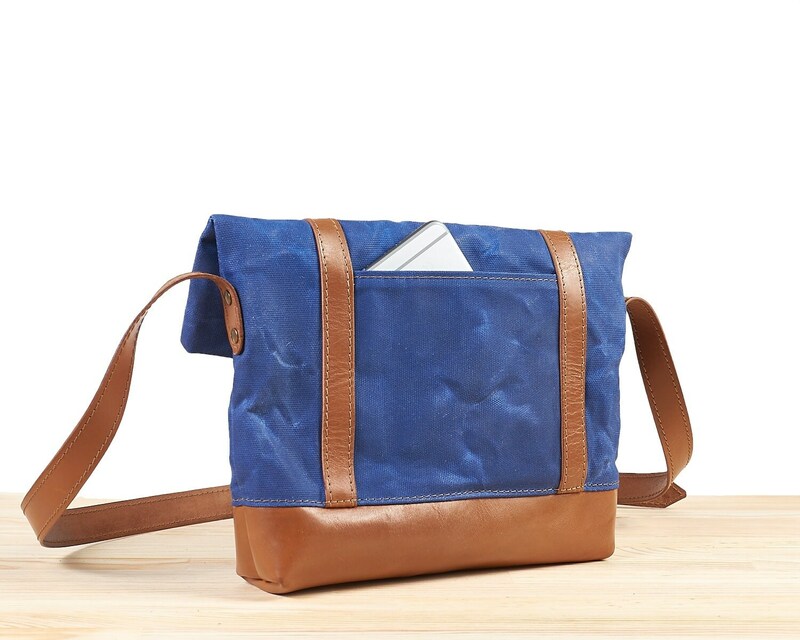 Base and straps made of veg tanned brown leather.